I’m in Sydney, tending to my father, who is still recovering from a pretty savage open-heart surgery. Cooking is my first service today, and as my father requested ‘rice pudding cooked just like my mum used to make’, I checked out a few recipes. My recipe for kheer (Indian-style sweet creamed rice dessert) is a bit different to the one he was accustomed to eat. Here’s some information about this vast subject:Rice puddings are found in nearly every area of the world. Recipes can greatly vary even within a single country. 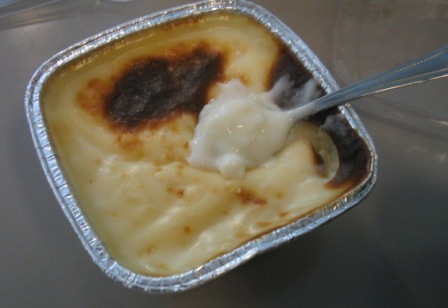 The dessert can be boiled or baked. Different types of pudding vary depending on preparation methods and the ingredients selected. The following ingredients are regularly found in rice puddings. The following is a short list of various rice puddings from different regions. Firni (Pakistani/Afghan/North Indian) with broken rice, cardamom and pistachio served cold. Firni (Afghan/Pakistani) Rice ground to powder cooked with milk and sugar, usually flavored with cardamom, garnished with slivers of pistachios and almonds, as well as with gold or silver warq (decorative, edible foil). Today, restaurants offer firni in a wide range of flavours including mango, fig, custard apple, etc. Wash and drain the rice. Bring 3 cups of water to boil and add rice to water. When rice is cooked, drain it. Place rice and milk on heat. When mixture begins to boil, add sugar and stir occasionally, then turn the heat down. Simmer for about 10 minutes. Make a paste of the rice flour with a little amount of water and stir into milk mixture and continue stirring. Simmer some more. Turn off heat and add vanilla extract. Pour pudding in individual containers, and bake until brown on top. Serve warm or hot, or let cool.